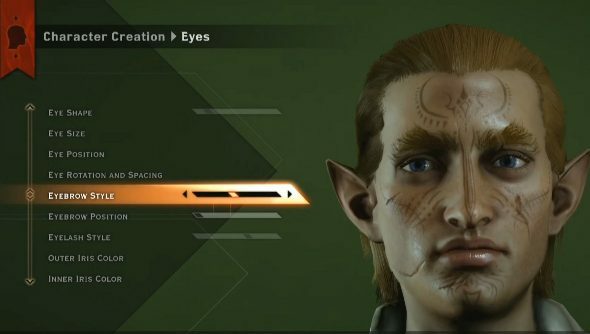 Dragon Age: Inquisition is a month-and-a-half away, but in lieu of placing yourself in stasis or just being patient, you can take a gander at BioWare’s Twitch stream containing 50 minutes of unadulterated fantasy action. The devs show off everything from character customisation and progress to tactical combat and exploration. I look forward to making a hideous elf and gorgeous dwarf, because screw convention. We’ve seen quite a bit of both the action and tactical combat styles in previous videos, and there’s a nice long look in this one. I know that the tactical stuff has concerned folk after it was essentially ditched in Dragon Age II, but have these videos laid your fears to rest? For everything we know about the launch check ourDragon Age: Inquisition guide.